Tucked away in a central room at the University of Virginia’s Link Lab, the ultra-modern space on the top floor of School of Engineering and Applied Science’s Olsson Hall, sits a non-descript cart. The cart is surrounded by the state-of-the-art, robot-assisted surgery equipment that is at the heart of research by Homa Alemzadeh and her UVA colleagues into the safety and security of these cutting-edge instruments of medicine. On the bottom of the cart, sticking out amongst the new tools of the trade, sits the old-school children’s game, Operation. Why? Because Alemzadeh is a problem-solver, even solving problems before they present themselves. Explaining to children what the surgical robots actually do would be difficult, she knew. 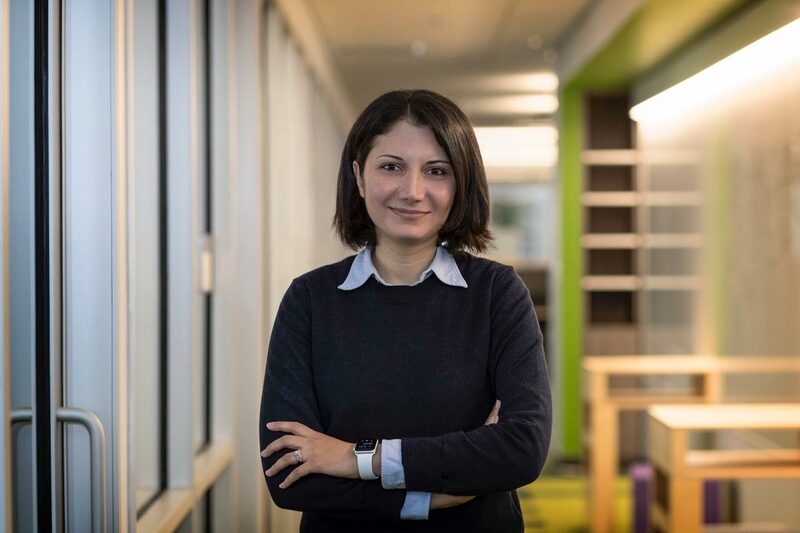 “We can show [the game] to kids if they come in for the open house,” said Alemzadeh, 35, a native of Iran and an assistant professor of electrical and computer engineering and of systems and information engineering. Alemzadeh said she and her colleagues could entertain the younger visitors, using the 21st-century robot-assisted surgical equipment on the 1965 kids game. Robot-assisted surgery has become standard of care in many specialties. According to the Intuitive Surgical Annual report, 877,000 robot-assisted procedures of various types were performed across the country in 2017. Not all surgeries, however, are problem-free. A study by Alemzadeh and her colleagues on the reports made to the U.S. Food and Drug Administration databases from 2000 to 2013 revealed that surgical robots were involved in more than 10,000 adverse events, with 1,391 cases resulting in patient injury and 144 cases resulting in death. Alemzadeh and four UVA colleagues – Dr. Leigh Cantrell (obstetrics and gynecology), Dr. Jose Oberholzer (surgery), Dr. Noah Schenkman (urology) and Inki Kim (assistant professor of systems and information engineering) – recently were awarded a Graduate Medical Education grant from UVA to tackle two critical issues for ensuring safety in robotics surgery. 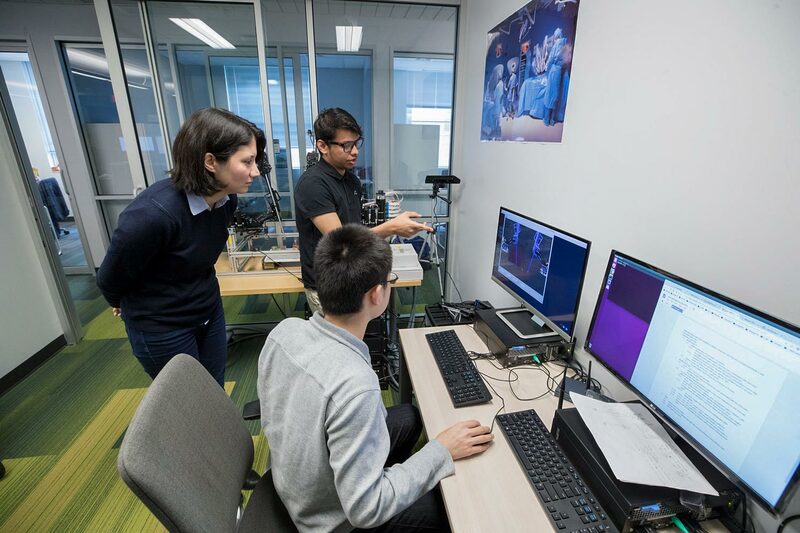 First, the team wants to further collect and analyze the robot-assisted surgery errors – “troubleshooting data,” as Alemzadeh puts it – to characterize the causes of adverse events and model and simulate them in virtual environments. And, second, they want to develop new simulation-based training methods for robot-assisted surgery – or, to put it simply, create the surgical equivalent of a flight simulator, that prepares surgeons on how to deal with adverse events. The da Vinci Surgical System, the main system that Alemzadeh and her team studied and the top-selling system used in robot assisted surgeries across the country, “works well,” Schenkman said, “but has safety issues.” Plus, there are humans behind the machines. Alemzadeh, ever the problem-solver, knows that no system is perfect, and her mission is to help decrease the number of adverse events during procedures. “My passion for research in health care safety and security comes from the significant impact that it can have on people’s lives,” she said. A primary way that Alemzadeh and the research team can help people is by helping future surgeons, including trainees at UVA. Alemzadeh works on the engineering aspect of the robots, and Schenkman and the other doctors provide the clinical expertise. If a patient is bleeding, where do you put the needle? If a major blood vessel is cut, how do you get through the situation safely? The reason to improve the training is simple: to give trainees the chance to solve problems before they present themselves in real life. On Dec. 31, 2008, Alemzadeh arrived in the United States for the first time, flying from her native Iran into Chicago. She rode a nearly empty shuttle bus to Champaign, Illinois, where she would complete her graduate studies at the University of Illinois. It was a 2½-hour ride through virtual nothingness – tiny interstate towns and vast acres of frozen Illinois farmland, in the pitch black of night. But, ever the problem-solver, Alemzadeh adjusted. She began to work with Ravi Iyer, an electrical and computer engineering professor and her mentor at the University of Illinois. She kicked off her research on data-driven resiliency analysis of medical devices. She finished her Ph.D. in electrical and computer engineering in 2016 and was awarded the prestigious Carter Ph.D. Dissertation Award in Dependability for her significant contribution to the field of dependable computing. Alemzadeh is grateful for her experience in Champaign. She loves Charlottesville. “I have found UVA as a vibrant community with a unique collaborative spirit,” she said. She has found a home at UVA and, with her team, she is determined to help design the next generation of resilient systems for robot-assisted surgery and to improve patient safety by eliminating as many adverse events during surgeries as possible.